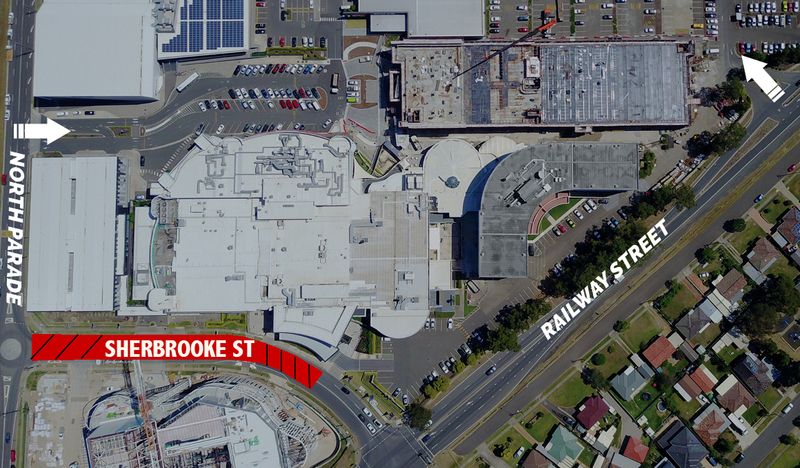 From the 1st to 18th April, Sherbrooke Street will be closed to traffic between Railway Street and North Parade due to the construction of the air-bridge between Rooty Hill RSL and Western Sydney Performing Arts Centre. The external façade of the Western Sydney Performing Arts Centre is nearing completion, and the venue is still on track to open in late 2019. The air-bridge will be completed in the coming weeks, and work will soon commence on the interior fit out. Access to the Southern Carparks, including the multi-storey carpark will be maintained by North Parade, as will access to the Northern Carpark from Railway Street. Should you wish to access the Southern carparks from Railway Street, you can use the alternate route via Rooty Hill Road.